Peter Radchenko is an Associate Professor of Business Analytics at the University of Sydney Business School.Prior to joining the University of Sydney in 2017, he held academic positions at the University of Chicago and in the Marshall School of Business at the University of Southern California.Peter has a PhD in Statistics from Yale University, and an undergraduate degree in Mathematics and Applied Mathematics, from the Lomonosov Moscow State University. Peter Radchenko's primary research focus is on developing new methodology for dealing with massive and complex modern data.Such large scale problems fall under the general framework of high-dimensional statistics and statistical machine learning, which are the main areas of Peter’s research.In particular, Peter has done extensive work in the area of high-dimensional regression, where the number of predictors is large relative to the number of observations. He has also worked on the problems of large-scale cluster analysis, including estimating the number of clusters and feature screening. Another area of Peter’s research is functional data analysis, in which the measurements of a function or curve are treated as a single observation of the function as a whole. Peter's research papers have been published in the Journal of the Royal Statistical Society, the Annals of Statistics, the Journal of the American Statistical Association, Biometrika, and the Annals of Applied Statistics. Peter Radchenko’s research focusses on developing and analysing novel methodology for dealing with massive and complex modern data. Fields ranging from finance, marketing and economics to image analysis, signal processing, data compression and computational biology nowadays share the common feature of trying to extract information from vast noisy data sets. The age of Big Data has created an abundance of interesting problems, posing new challenges, not present in conventional data analysis. Such large scale problems fall under the general framework of High Dimensional Statistics and Statistical Machine Learning, which are the primary areas of Peter Radchenko’s research. His main focus has been on the problems in high-dimensional regression, convex clustering and functional data analysis. 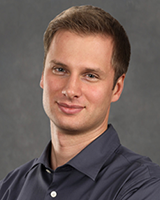 Peter Radchenko’s work on high dimensional regression problems involves fitting models and performing variable selection in settings where the number of predictors is large relative to the number of observations. His corresponding methodological work covers a wide range of topics, including linear and nonlinear additive models, nonlinear interaction models, generalized linear models, and single index models. One serious limitation of the traditional clustering methods, such as k-means, is the non-convexity of the corresponding optimization problems. Peter Radchenko has worked on developing and analysing highly scalable convex clustering approaches that can handle massive amounts of data. His recent papers focus on estimating the number of clusters and on feature screening in large scale cluster analysis. The key principle of the Functional Data Analysis field is to treat the measurements of a function or curve not as multiple data points, but as a single observation of the function as a whole. This approach allows one to more fully exploit the structure of the data. The infinite dimensional nature of functional data makes it critical to reduce the dimension of the predictor data before fitting a regression model. Most existing methods utilize an unsupervised approach, such as functional principal component analysis. The novel methodology developed by Peter Radchenko and his collaborators performs the dimension reduction in a supervised fashion, taking the response information into account. Principled statistical methods for high-dimensional correlation networks; ARC Discovery Project.